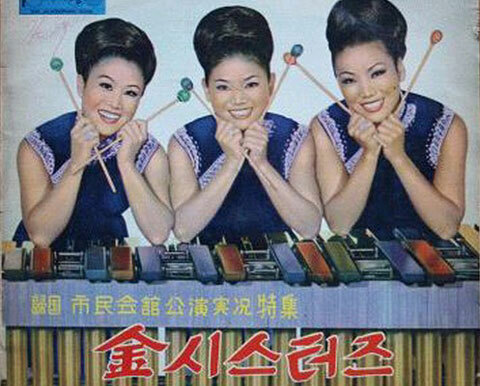 The Kim Sisters were arguably the first girl group in the history of Korean popular music. They debuted in their teens in the early 1950s, and were extremely popular among U.S. soldiers stationed in Korea. They played many instruments and danced, and enjoyed substantial success in the United States when they debuted there in 1959. After returning to Korea in 1970, they released a number of hit songs. Hoping to emulate the Kim Sisters' success, there were many new "sister" groups from the late 1950s. When did this transmute into the current manufactured girl band format of four or five girls singing cute songs and pleasing mainly the eyes of male fans? Renowned pop critic Im Jin-mo says, "Since girl groups are normally the product of an entertainment management agency in all aspects of the making -- from the appearance of each member of the groups to every song they sing, the first girl 'idol' group in Korea would have been S.E.S." S.E.S. enjoyed enormous popularity among men with their pretty faces, sweet voices and cute dance moves. They were the first to break the stereotype in the K-pop scene that girl groups do not sell. Their third album sold 780,000 copies, and S.E.S. remains the girl group that sold the most albums in K-pop history. Next was Fin.K.L. who distinguished themselves from the upscale image of S.E.S. by making themselves look more approachable and eventually became their chief rival. 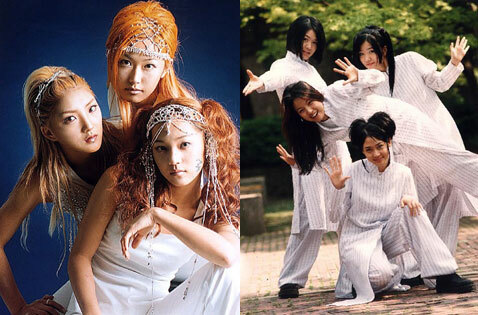 The snow-white dresses that all members of Fin.K.L wore in their debut season were one of the best-selling fashion items in 1998, and thousands of women in their teens or twenties played their songs for their boyfriends. In 1997 came Baby V.O.X. and in 2001 Jewelry. Girls' Generation debuted in 2007 and consists of nine multi-talented members who are fluent in English, Chinese and Japanese and are capable of singing, acting, and presenting. The journey leading to the group's debut was covered on cable channel M.net, and since then, many idol groups that followed have made the process into a reality show. The Wonder Girls, who also debuted in 2007, became famous before they had even made their official debut through a reality show on MTV Korea. They had a huge success with "Tell Me" in 2007 and are currently in the U.S. trying to make a name there. The year 2009 has been the heyday of girl groups, with a huge number of such groups bursting onto the scene. 2NE1, Kara, After School and 4minute are some of the most recent additions. Half a century since the debut of the Kim Sisters, girl singers are born, grow, bloom and die depending on the public's fantasies.